Rail Wheel Factory Recruitment 2017 – 192 Trade Apprentice Posts:- Rail Wheel Factory, Ministry of Railways has issued notification for the recruitment of 192 post of Act Apprentice under the Apprenticeship Act 1961 for the year 2017-2018. Interested & eligible candidates can apply in prescribed application format. Last date for submission of application is 29/11/2017. Age Limit: Candidates should have completed 15 years and should not have completed 24 years as on 29/11/2017. The upper age limit can be relaxed by 5 years in case of SC/ST candidates and 3 years in case of OBC candidates. Educational Qualification: Passed Matriculation Examination or 10th class or its its equivalent with 50% marks. Must possess ITI (NCVT certificates only) in any one of the designated trades specified above from a recognized Industrial Training Institute. Last Date for Receipt of Applications : 29/11/2017. 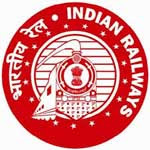 How to Apply: Interested eligible candidates can send their application in prescribed format along with all necessary documents to the Chief Personnel Officer, Rail Wheel Factory, Yelahanka, Bangalore â€“ 560064. Last date for submission of application is 29/11/2017. Subscribe our Free Job Alert Mail Service for Rail Wheel Factory Recruitment 2017.